To better understand the emotional connect you have with your beloved, it is worth looking at their astrological Moon Sign. 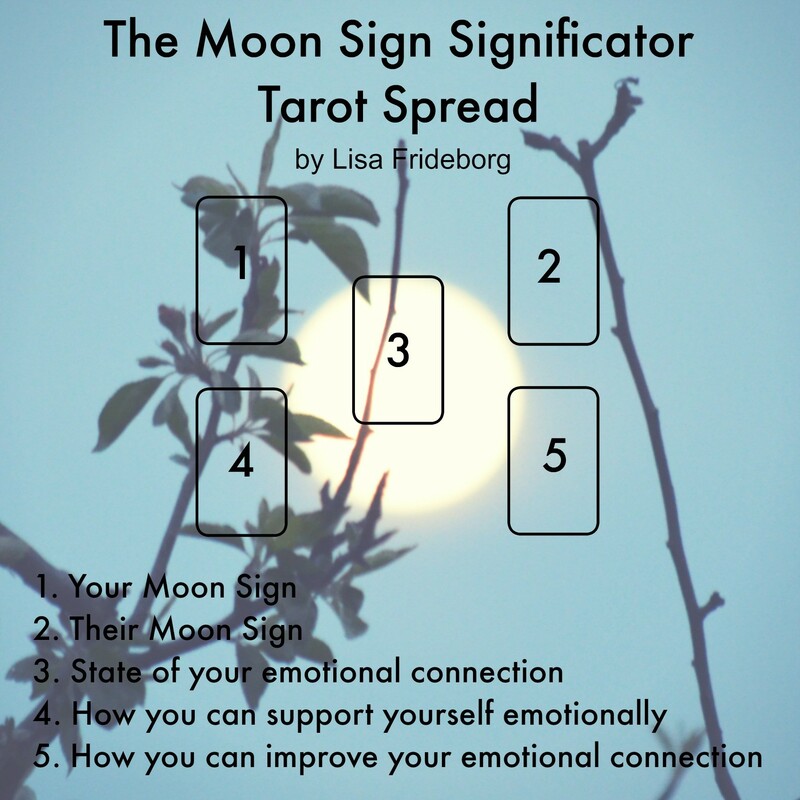 The Moon rules our emotions (+ any psychic ability) and forms a very important part of our basic personality. You were literally born with a certain emotional disposition and while it certainly is affected by circumstances during your upbringing (and possibly by traumatic/major events later in life), you essentially remain the same throught the span of your life. In contrast to the Sun sign, the Moon is who you already are before you incarnate (an accumulation of soul lessons, combined with your unique predispostion) and the Sun is what you are here to learn by taking on this persona, almost like an actor signing up for a role. This may help those of you who didn’t feel your Sun sign was a good fit until later in life. This was certainly the case for me, as I always identifiec much more with my Pisces Moon (and my Gemini rising) than with my Capricorn Sun. For instance, a Pisces Moon sign person is always going to be more sensitive than your average person and a Saggie Moon Sign person will always have a greater than average craving for adventure and travel. To be able to do this Tarot spread, you will need to do some research… but don’t fret! It is really simple, especially if you know yours and your beloved’s date and time of birth. You will need the time because the Moon changes signs approximately every 2½ days and chances are that they could land on either side of a cusp if born on a day when the Moon does change signs. If they were born on a day when the Moon remained in the same sign, you don’t need the time (although you may find it comes in handy for interpreting the rest of the chart). HERE is a link for a Moon Sign Calculator. Next you need to locate the corresponding Major Arcana cards for both Moon Signs. Feel free to use a Majors only deck for this if you wish to play with a full deck for the other three positions in the spread. I have written down a few keywords for each Moon sign but encourage you to do some further research to find that keywords that are the perfect fit for you and your beloved. You may even wish to do the spread on an large sheet of white paper. That way you can write down the keywords next to the cards. Let me know how you go with this one and if you are getting stuck with any of the card meanings. I’m happy to help with individual cards even though I won’t have time to help interpret the whole spread. The background picture for the spread is of the gorgeous Scorpio full moon the other night and was taken in our garden. PS. I have started making videos again. Please check out my YouTube channel, subscribe and comment if you would like to see more videos.